I am preparing my feet for winter. My dry skin battles during cold weather are never ending so I want a head start before the frost and snow arrives. I mentioned in my September Favourites that I had purchased Chilly B (now known as Love to B) Mint & Rosemary Restoring Foot Butter. It has been working out great for me so I wanted to share a review with my readers. As the name suggests this is a rich butter packed with fabulous ingredients which should help keep tooties smelling fresh and feeling soft. Ingredients: Shea Butter, Cocoa Butter, Sweet Almond Oil, Vitamin E, Peppermint, Vanilla, Rosemary, Eucalyptus. This is definitely a product that needs applying in the evening before heading off to the land of nod. I often will treat myself and recreate a spa pedicure by simply adding bath salts into a bowl, soaking my feet and then apply a generous layer of foot butter. This extra attention makes all the difference for me and hopefully I'll survive winter without my feet snagging my tights and socks (oh yes I went there). Chilly B products are handmade in Dorset and free from undesirable ingredients. 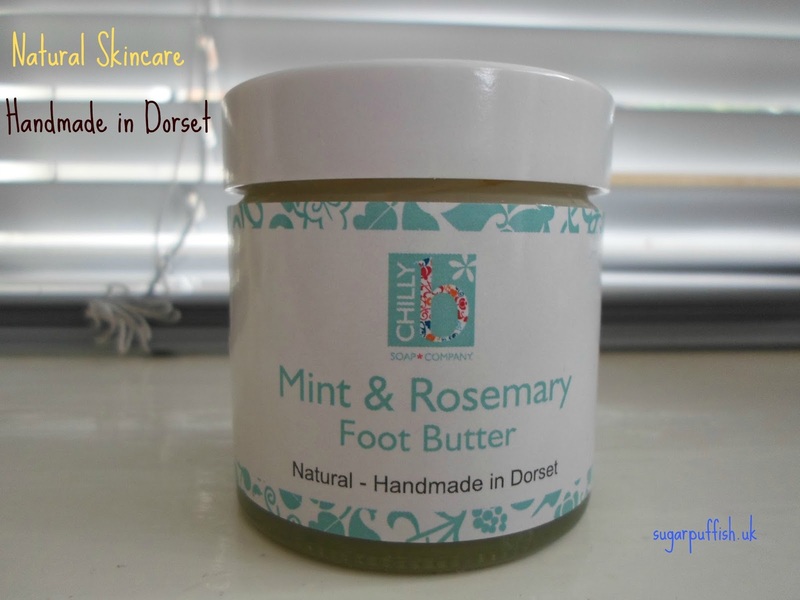 I think prices are affordable, the foot butter will last you a long time and costs £7.50 (50ml jar). I think it's fair to say that Chilly B is fast becoming one of my favourite brands. If you looking for other recommendations, check out my recent Chilly B bath soak review. Hahah! I hate that sound when you put your feet through tights and its just getting stuck :Z eek! This sounds sooooo nice!